It’s essential to stay hydrated and cool in the hot summer months. 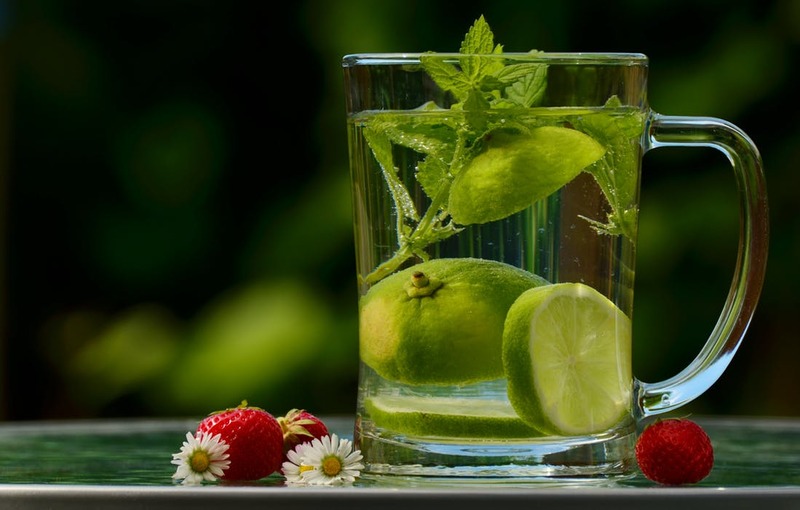 Infusing water with vegetables, fruits, and herbs can make it a breeze. Most store bought infused waters are loaded with artificial flavors, sugar, and coloring. Enjoy these pure and simple, fresh and natural alternatives. There is no limit to the combinations you could try. Here are a few of my favorites to get you started. All of the ingredients have a cooling effect which is perfect for keeping cool in the warm summer season. Place the chosen vegetables, fruit, and herbs into a glass, use a muddler or end of a wooden spoon, and slightly mash up to bring out their flavors. Add filtered or sparking water and enjoy.